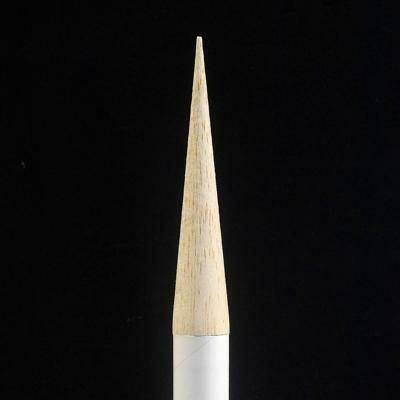 TT - 20 Wood Nose Cone "TTBB"
TT - 20 Wood Nose Cone "BB" made from Hard Balsa. Fits TT-20 size Telescoping Tube. Cone is 4" long. Approx. weight 3.5 gm.